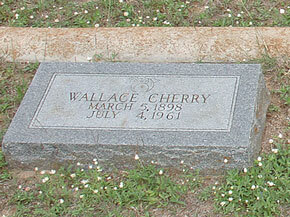 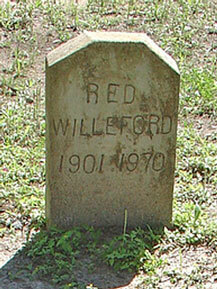 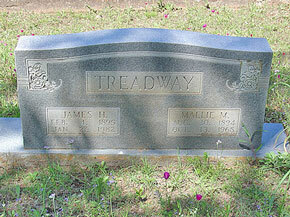 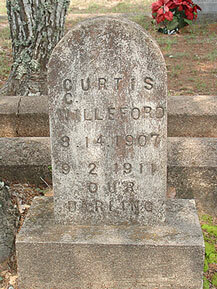 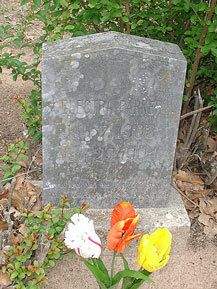 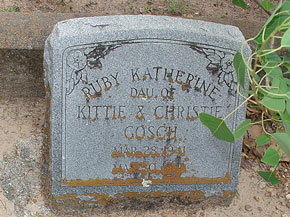 This cemetery is located 2 miles west of Muldoon off FM 2237 on Muldoon Cemetery Road. 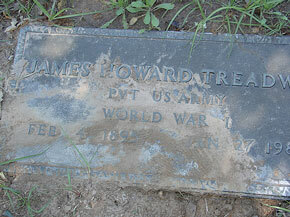 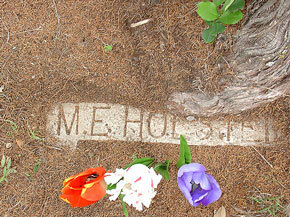 There are some unmarked grave sites. 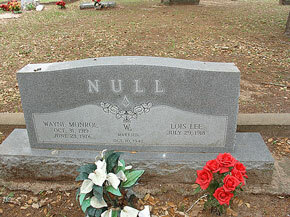 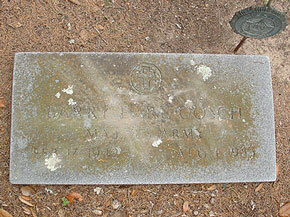 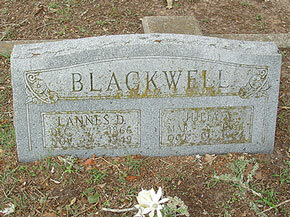 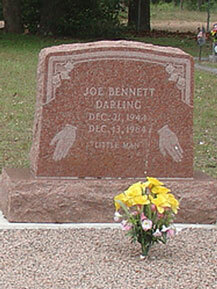 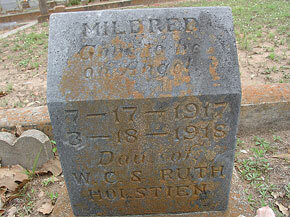 According to the Joe Cole Survey [Joe Cole #092W] this cemetery came into use sometime right after the Civil War. 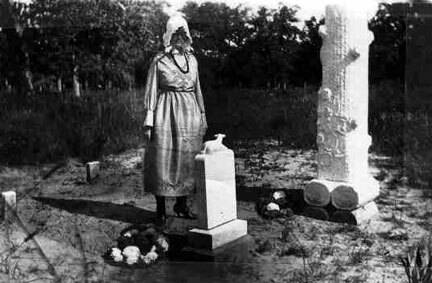 There are two work days/business meetings per year: one on the second Saturday in April and then again the Second Saturday in October. 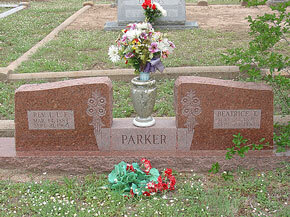 There is an annual Memorial Service the First Sunday in May at 2:30pm. 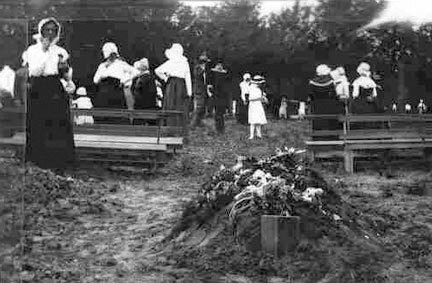 Meetings and the memorial service are held in a chapel which was moved to the cemetery grounds in the early 1930s. 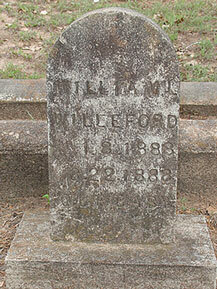 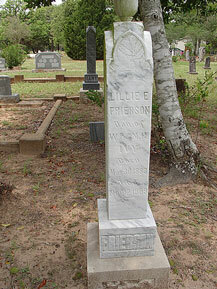 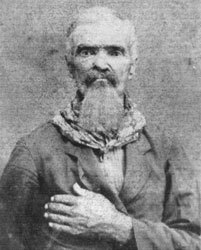 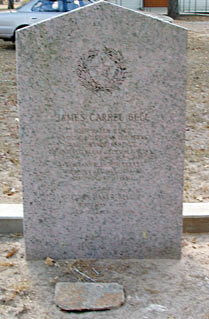 It was the Union Hill Baptist Church and had been located about one mile west of the cemetery. 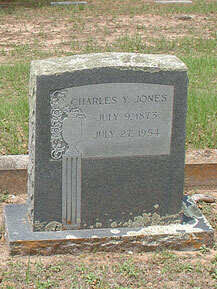 The church was taken apart with the boards numbered and then it was carefully put back together at the new site. 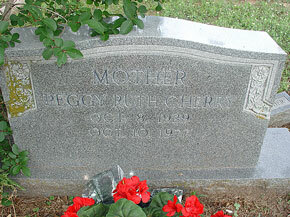 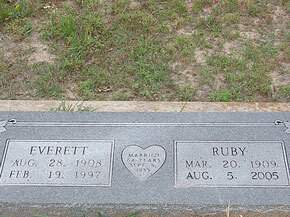 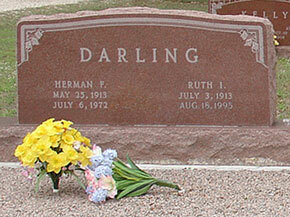 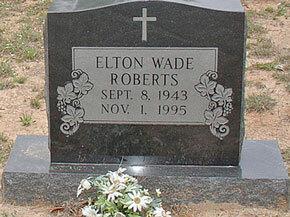 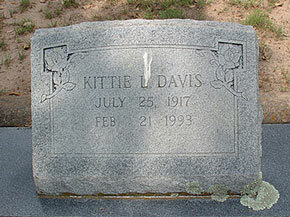 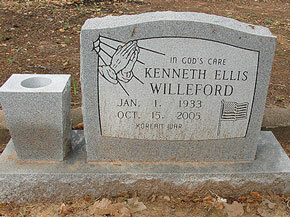 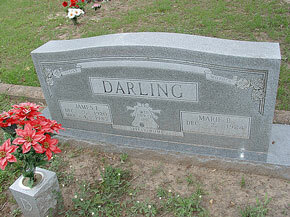 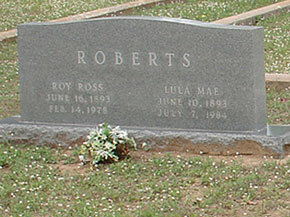 Kathy Carter and Helen Muras visited and recorded this cemetery on November 3, 1986. 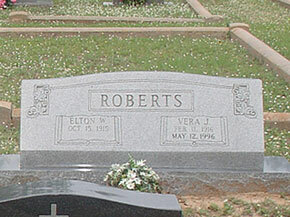 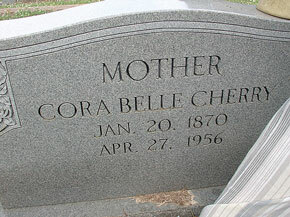 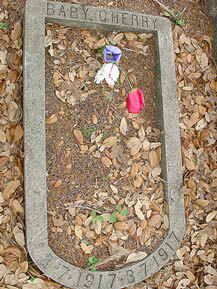 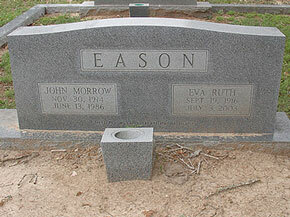 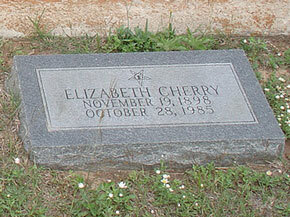 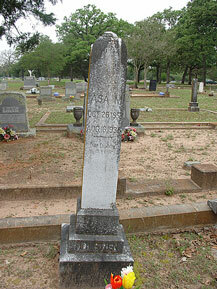 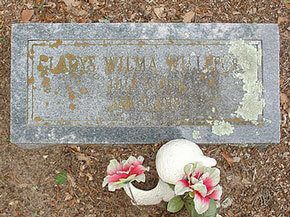 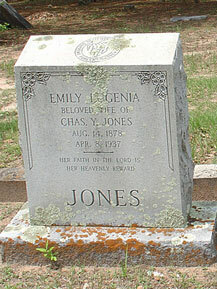 Merena Lucas stone was erected in Blackwell family plot in 1992 according to Eva E. Cherry Eason. 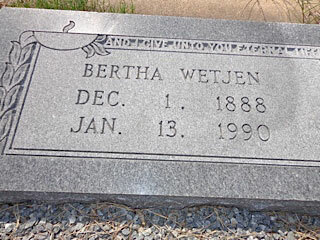 Below is a complete up-to date cemetery listing as of August 9, 2018, provided by Barbara Wetjen. 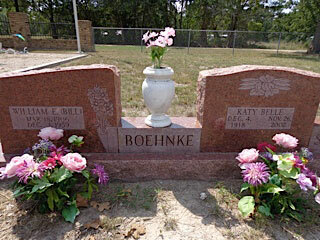 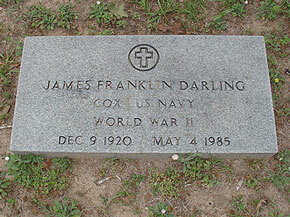 She also provided some photographs in addition to Jana Junkin who contributed her collection of about 125 photographs of graves taken in April 2006 and 2007. 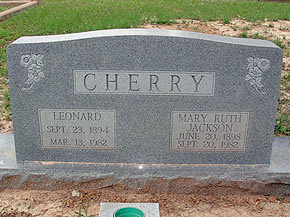 Click on the person's name to see the corresponding photograph. 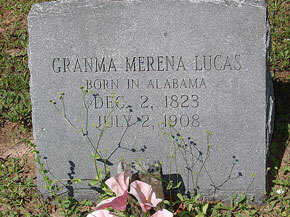 Jana Junkin also contributed the information about the Merena Lucas stone. 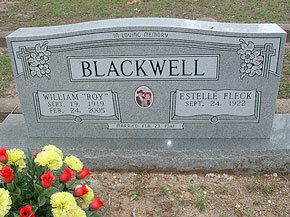 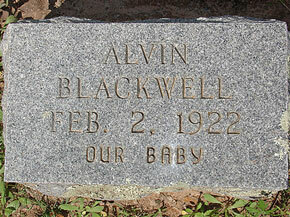 Blackwell, Estelle Fleck Picture; Married William Roy Blackwell 23 Feb 1941; "In Loving Memory"
Cherry, Ruby Frierson March 20, 1909 August 5, 2005 Married Everett Cherry 09-05-1933; "Married 64 Years"
Coulson, James C. 1857-07-08 August 4, 1909 WOW marker; "Age 52 years 27 days"; "At Rest"
Coulson, Mary 1856-09-30 January 9, 1935 "At Rest"
Darling, Joe Bennett December 21, 1944 December 13, 1964 “Little Man"
Darling, Marie B. 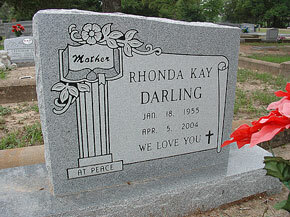 "Mother"; "Safely Home"
Darling, Rhonda Kay Rolfe January 18, 1955 April 5, 2004 "At Rest"; "We love you"; "Mother"
English, Samuel December 30, 1935 September 27, 1919 "Uncle"; shares marker with Mary E. Holstien; "Gone, but not forgotten." 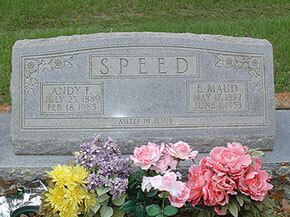 Floyd, John B. M.D. 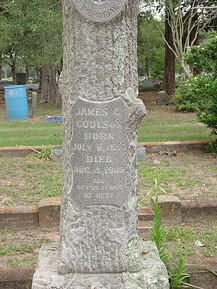 1842-07-12 1875-01-13 b St. Martins, St Johns co N.B. 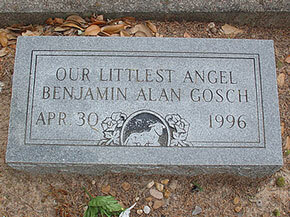 Gosch, Benjamin Alan April 30, 1996 April 30, 1996 "Our Littlest Angel"
Holstien, Asa M. October 26, 1853 August 16, 1935 "Our Daddy is at rest"
Holstien, Birtie May 1894-04-01 February 24, 1986 Married Elijah Holstien 20 Apr 1924; "Rest in Peace"
Holstien, Eula C. 1898-11-14 1899-08-11 "At Rest"
Holstien George C. 1886-01-24 1886-03-03 "At Rest"
Holstien, Jane C. 1826-10-25 1879-07-28 "Our Mother in Memory of"
Holstien, John Michael March 23, 1972 September 30, 2001 "Beloved Son"; "Step softly for many dreams lie buried here"
Holstien, Mary E. 1872-09-06 March 17, 1923 "His Niece"; shares marker with Samuel English; "Gone, but not forgotten." 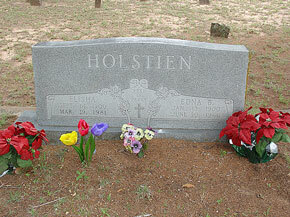 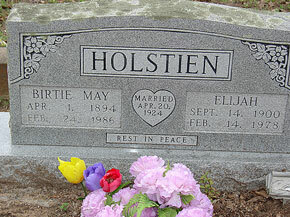 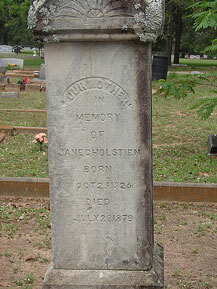 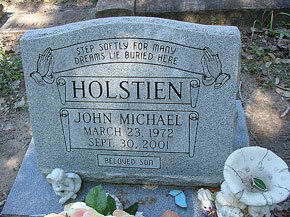 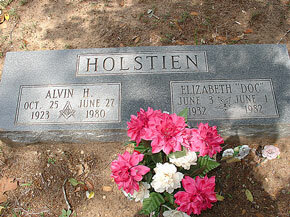 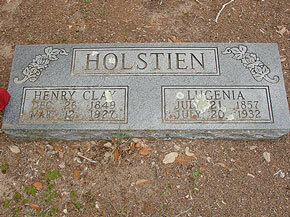 Holstien, Mildred July 17, 1917 March 18, 1918 Dau. 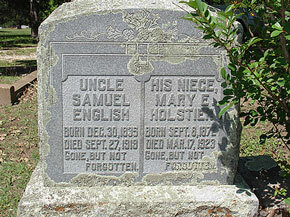 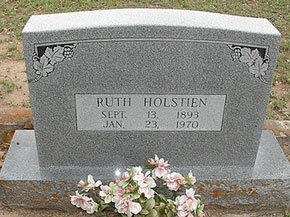 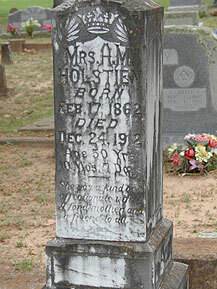 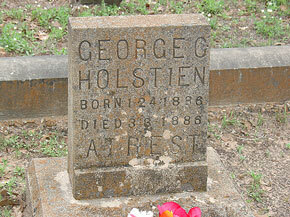 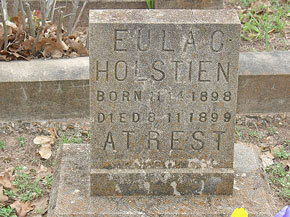 of W. C. & Ruth Holstien; "Gone to be an Angel"
Holstien, Mrs. A. M. 1862-02-17 December 24, 1912 "Age 50 Years 10 Mos. 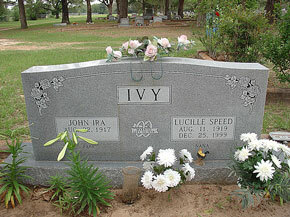 7 Days";"She was a kind and affectionate wife, a fond mother and a friend to all"
Ivy, John Ira August 22, 1917 November 20, 2011 "Papa"
Ivy, Linda Lou May 25, 1949 May 25, 1949 "Daughter of Ira & Lucille Ivy"; "Baby"
Ivy, Lucille Speed August 11, 1919 December 25, 1999 Married John Ira Ivy 30 Sep 1939; "Nana"
Jones, Emily Lugenia 1878-08-14 April 8, 1937 WOW marker; "Beloved Wife of Chas. 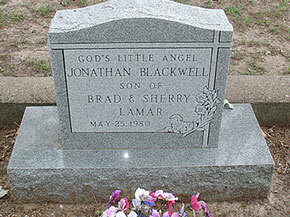 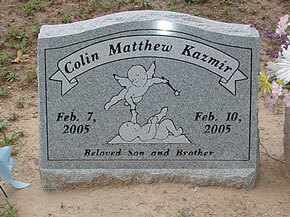 Y. Jones"; "Her Faith in the Lord is Her Heavenly Reward"
Kazmir, Colin Matthew February 7, 2005 February 10, 2005 "Beloved Son and Brother"
Lamar, Jonathan Blackwell May 25, 1980 May 25, 1980 "Son of Brad & Sherrie Lamar"; "God's Little Angel"
Lucas, Merena December 2, 1823 July 2, 1908 "Granma";"Born in Alabama"; mother of Pelina J. Blackwell; marker placed here in 1992; Merena Lucas bought a marker for her son, daughter, husband and herself that is in the Colony Cemetery where she planned to be buried. 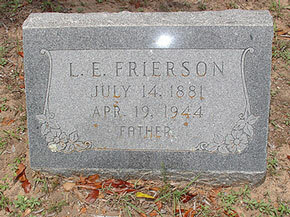 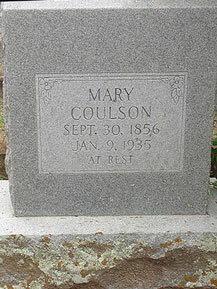 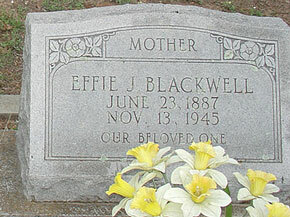 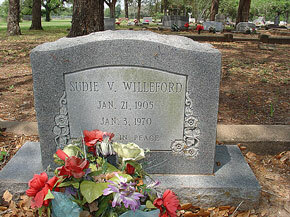 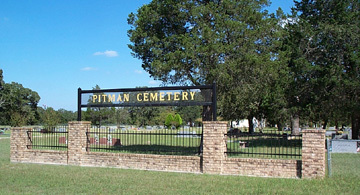 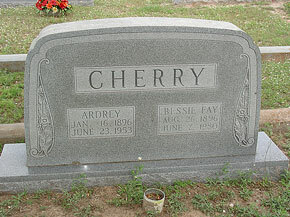 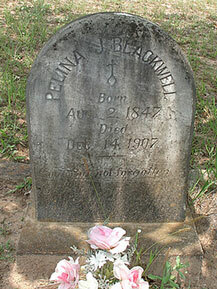 However, when she passed away, family members buried her in the Pitman Cemetery to avoid the long wagon ride to the other cemetery in the midst of 4th of July picnic preparations. 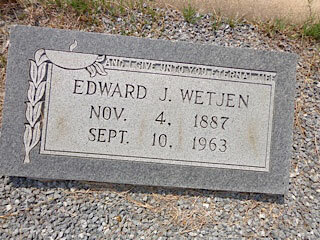 Lueders, Alvin Wm. 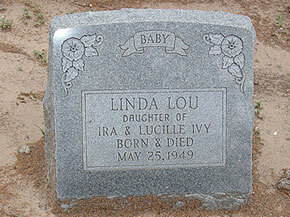 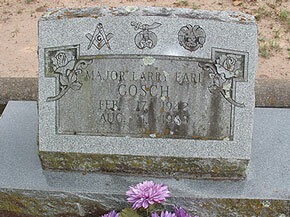 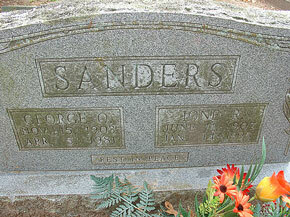 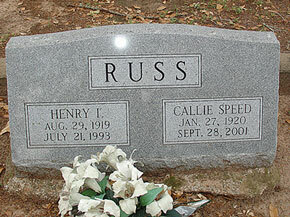 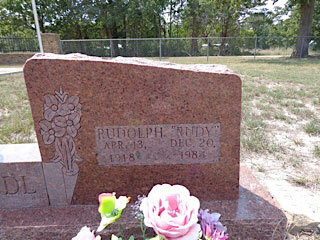 February 22, 1952 December 27, 1977 son of B. Lueders, d.Galv. 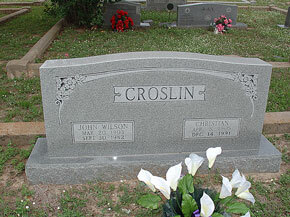 grain acc. 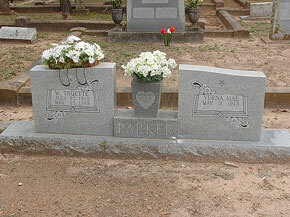 Parker, Claude September 16, 1905 June 11, 1944 PFC; WWII; "Died in France"; American Legion marker; "In Memory of"
Parker, Erma Willene March 21, 1928 August 10, 2004 Nee Rightmer; married James A. 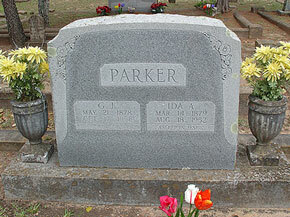 "Jake" Parker; "Married Apr. 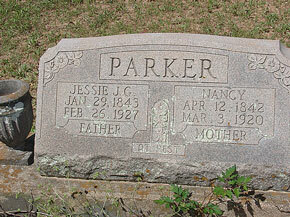 1 1949"; "Mom"; "In God's Care"
Parker, James A. 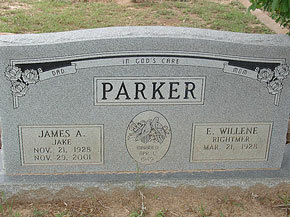 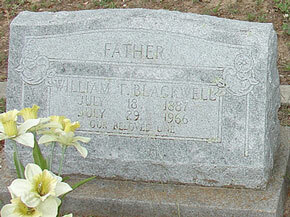 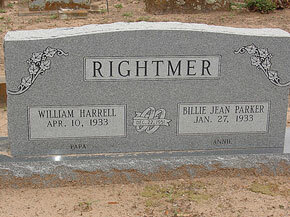 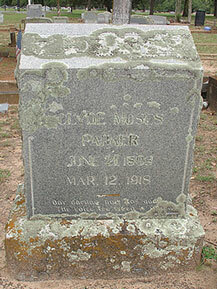 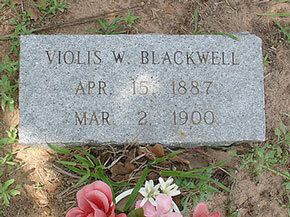 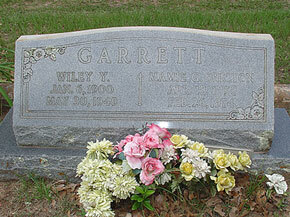 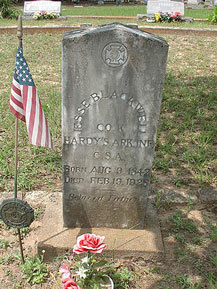 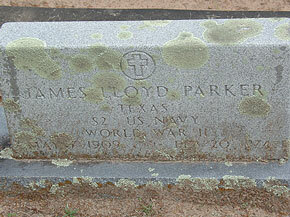 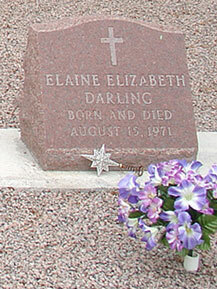 (Jake) November 21, 1928 November 29, 2001 Shares marker with E. Willene Rightmer Parker; "Married Apr. 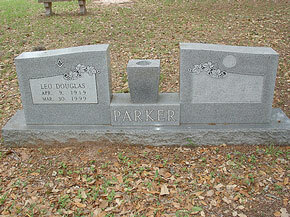 1 1949"; "Dad"
Parker, Nancy 1842-04-12 March 3, 1920 "Mother", "At Rest"
Ray, C. N. 1869-10-16 July 12, 1905 "Father"
Ray, Jabez Marshall 1832-02-02 October 10, 1912 Pvt Texas Inf. 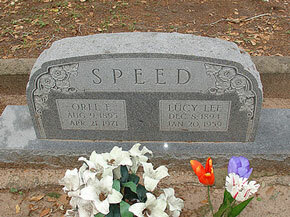 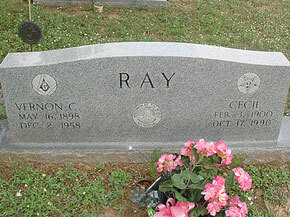 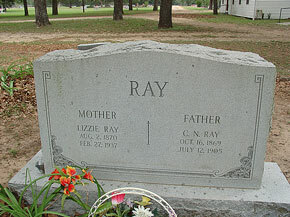 Ray, Lizzie 1870-08-02 February 27, 1937 "Mother"
Sanders, Ione R. Parker June 11, 1907 January 14, 1995 "Rest in Peace"
Speed, Andy F. 1889-07-25 February 18, 1985 "Asleep in Jesus"
Sullivan, Eliza V. 1818-10-20 1891-05-18 wife of Jesse Ssullivan born in Ala.
Sullivan, Mary Jane 1851-01-19 1883-03-10 wife of J. T. Sullivan born Miss. 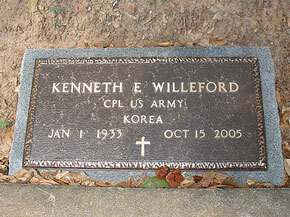 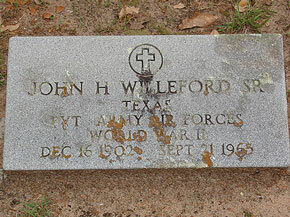 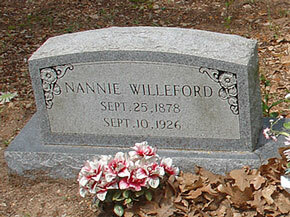 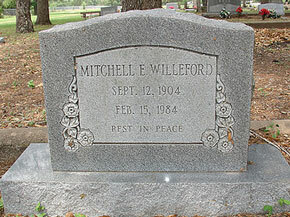 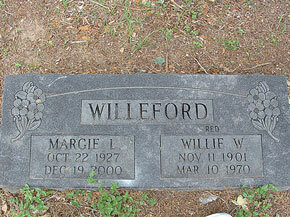 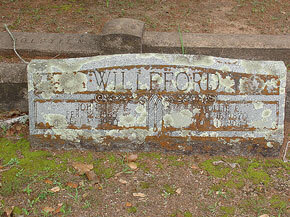 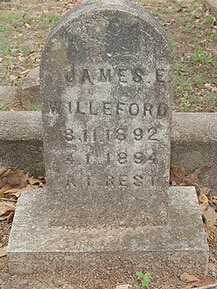 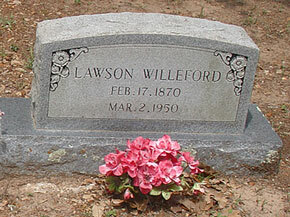 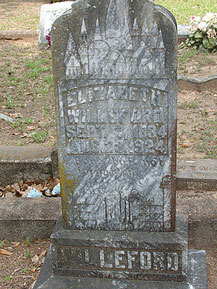 Willeford, Elizabeth September 7, 1834 August 23, 1924 "Gone But Not Forgotten"
Willeford, James E. August 11, 1892 May 1, 1894 "At Rest"
Willeford, Mitchell E. September 12, 1904 February 15, 1984 "Rest in Peace"
Willeford, Sudie V. January 21, 1905 January 3, 1970 "Rest in Peace"
Married William Harrell 22 Dec 1951; "Annie"